…that is receiving stolen goods. …that is aiding and abetting after the fact. Have you ever paged through a tatting book and found a pattern you had never noticed before, or had forgotten about? That happened to me. When my eyes first fell on the page, I was reminded of Mark Myer's style, but when I looked closer, I realized it was a little known pattern by Monica Hahn, called Victoria. It was very interesting to make, but there were rather a lot of ends to work in, so it languished on the UFO pile for a while. This is an advertisement from our sponsor. There is a possibility that Book 5 of the Ribbonwinners Series "Tatting with Friends" may be back in print next May. I am going to start a waiting list. If interested please email. Thanks." This is the very book I had used. I had considered myself very lucky to have acquired a used copy since it had been unavailable for a long time. This is a huge anthology style book edited and published by Georgia in 1998. The contents page reads like a Who's Who of tatting: Doretha Albee, Judi Banashek, Karen Bovard, Angeline Crichlow, Patti Duff, Ben Fikkert, Randy & Gary Houtz, Norma Benporath, Pam Palmer, Rosemarie Peel, Helma Siepmann, Suzann Welker. And that's just a sampling. And don't forget, the Online Class has started again after the holiday break. There is regular class on Mondays, and beginners class on Thursdays. Click HERE for information. During these scannerless months, I haven't been too happy with my photos of motifs. But the camera is better for things that aren't flat, like this bracelet. Yippee, I have found my long lost Palmetto class bracelet. I had given it up for lost, but it turned up while I was looking for something else. Of course. Someone had given me the teapot clasp the year before and I saved it until this perfect project came along. Isn't it sweet? 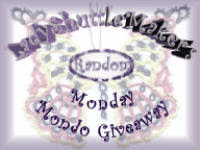 The pattern is the "Single Shuttle Beady Braid" by Erin Holloway, and it is actually much easier than it looks. The pattern is available on the Palmetto Tat Days 2014 Pattern CD, and ordering information is Here. DH has finally located the scanner installation disc, so I hope to be back to scanning soon. For those who didn't get the full story of what I was ranting about last time: People scan pattern books and post them online, which is copyright infringement. Then those same people, or someone else who has found their websites, pin the pages on Pinterest or share them on Facebook, etc. Then other people who may not be thinking about copyright issues repin them and it goes on from there, The author/designer may not even be aware this is going on. You may see a pattern online with no designer's name or copyright notice, and assume it's not copyrighted. But that's probably not true. The author's name and copyright notice usually appear just at the beginning of the book, not on every page, but each page is still under legal copyright. If you see a pattern (whether written out or diagrammed) that's nicely done, especially if it looks like a page from a book, there is a high likelihood that it is copyrighted. Even a free pattern is under copyright, and the designer may have asked that it not be reposted elsewhere. If you see a pattern posted on Pinterest, think twice before re-pinning it. Click on it to see the source of the image. If that does not take you to the designer's own site, or some other clearly recognizable reputable site, it could be a pirated pattern. If you aren't positive that the pattern was posted by the designer him/herself, then don't re-pin to avoid the possibility of spreading the piracy problem. Don't re-pin questionable images because that's the right thing to do. Or do it from self-interest. Pinterest says, "Pinterest enforces a repeat infringer policy that may result in the termination of users who acquire multiple strikes as a result of copyright complaints." You wouldn't want to find yourself in that situation so be responsible about pinning patterns. The exception is public domain patterns, whose copyright has expired. There are complex rules that govern this, so again, if you aren't sure, it's safest not to do it. I must officially be the grouchy old woman on Facebook right now complaining about piracy of patterns on Pinterest. Pinterest said it would take the pins I reported within 24 hours and apparently the re-pins of those too, but a day and a half later over half of those are still there and I am finding more and more repins. I was putting comments on as many of the offending pins as I could, but then Pinterest told me I was commenting too much and blocked me. Since it's past 4 am, maybe just as well. Sometimes seeing my books pirated makes me want to give up on publishing patterns. I don't know of that will happen, but I've been spending hours a day dealing with this piracy problem lately, which means the patterns I've been working on didn't get finished. And my Palmetto teaching application is behind schedule. And that disc that may solve my scanner driver problem, no time for that either. There is a Russian gallery site that is the root source of much of my piracy problems. Unfortunately, unlike Picasaweb, and Chomikuj, and several others I've dealt with, I can't find a link for reporting abuse. Is there anyone fluent in both English and Russian willing to help? I have a reason for not posting for so long, or actually two reasons. I've been without the use of a scanner for the last few months, and what's a blog post without a picture? I can't seem to manage to successfully download the driver so the scanner will work with the laptop, and DH hasn't gotten around to fixing my ailing desktop computer yet. Or locating the setup disk that came with the scanner. Oh, and the second reason is I was too lazy to post about it. 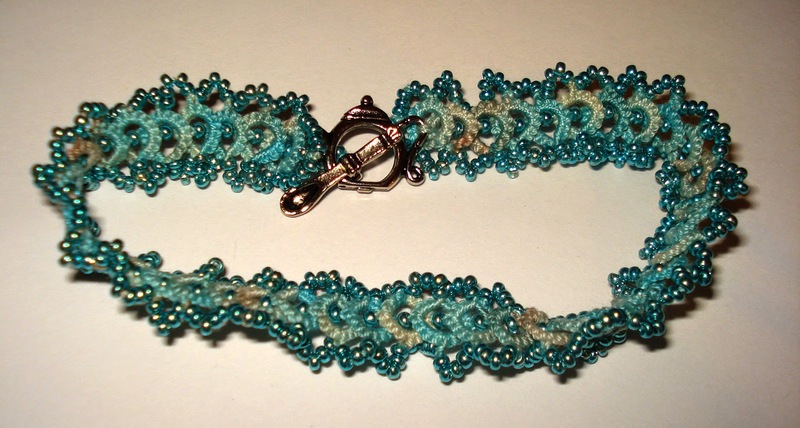 Yes, I could have used the camera instead, but I haven't been happy with the quality of my pictures of tatting. Most of what I've been tatting lately is for future book(s), and I'm not posting any pictures of pattens for sale without watermarks. That's just too much bother for pictures that aren't acceptable quality anyway. And also, there's that business of getting out the camera, discovering the battery need charging, and trying to remember where I put the cables needed to attach it to the aforementioned wretched laptop, since it doesn't have a slot for the camera memory chip. Did I mention I was lazy? I could have posted about the other pictures that were stored in the camera from our trips in the fall. Yet another airshow, anyone? But now the new quandary: Jane's TIAS begins in just a few days. For the few who don't know, that's a tat along project with just a bit of the instructions released at at time. People send in their inprogress pictures and try to guess what the mystery motif will turn out to be. It's so much fun to play along, I just may pull out the camera so I don't have to miss out this year. Also in the news, the Palmetto TatDays Call for Teachers, and logo contest has been announced. Get details HERE. Please note the deadline is much earlier than usual. The Antique Pattern Library met their year end funding goal and can continue in business as a non-profit organization. Thank you to all the tatters who contributed. I know many of you responded to Georgia's appeal for donations. 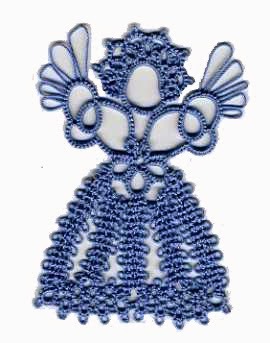 The APL is a wonderful source for vintage tatting patterns and all other sorts of needlework.